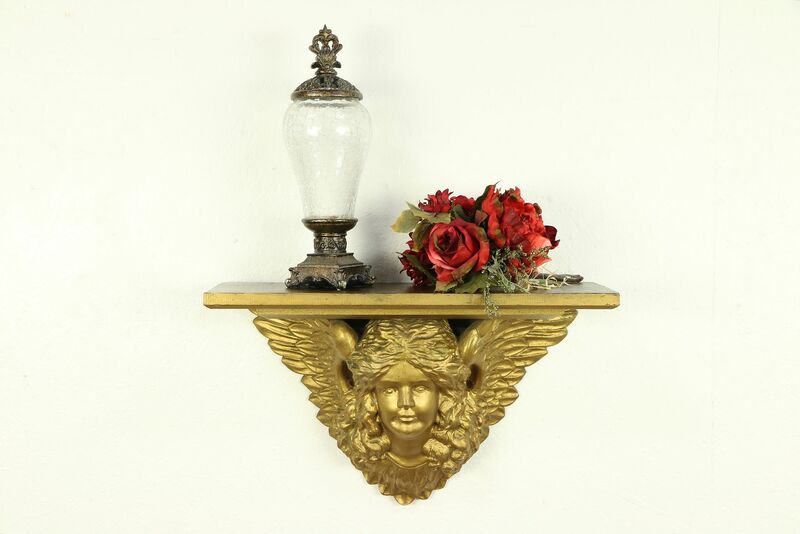 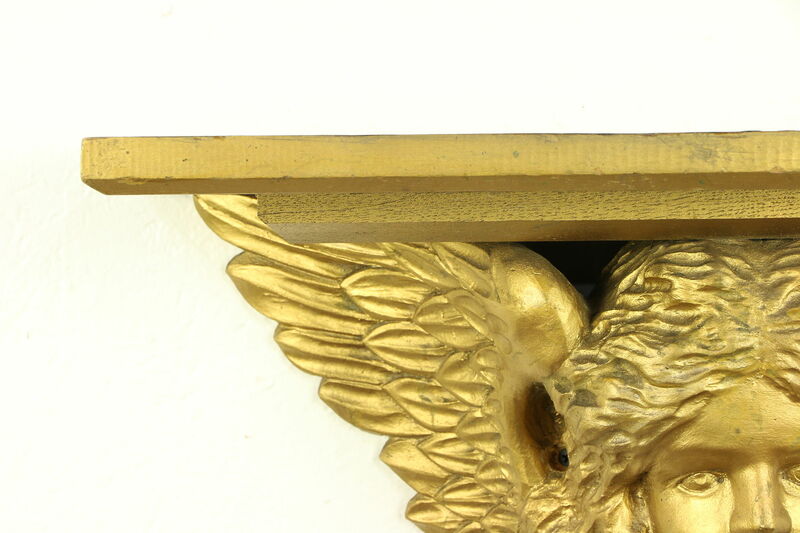 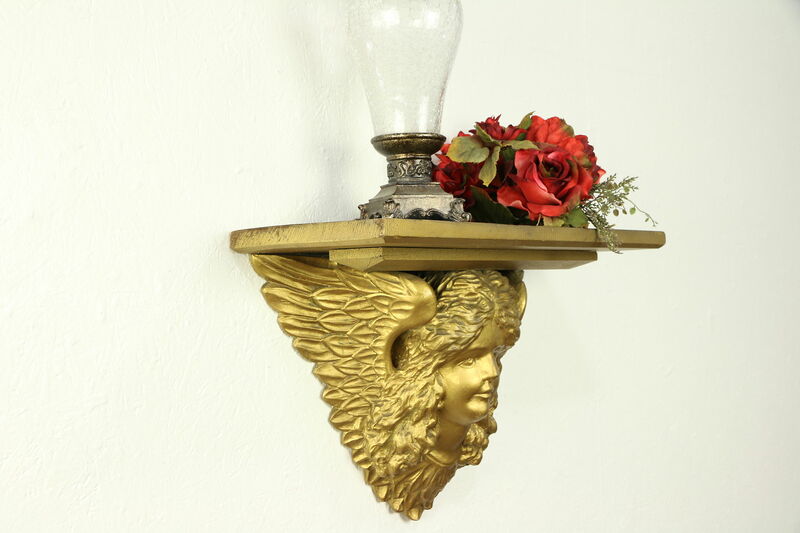 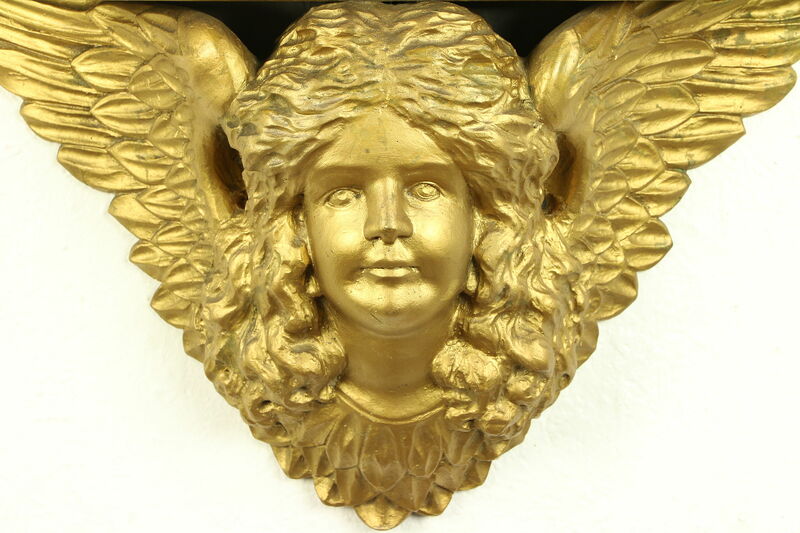 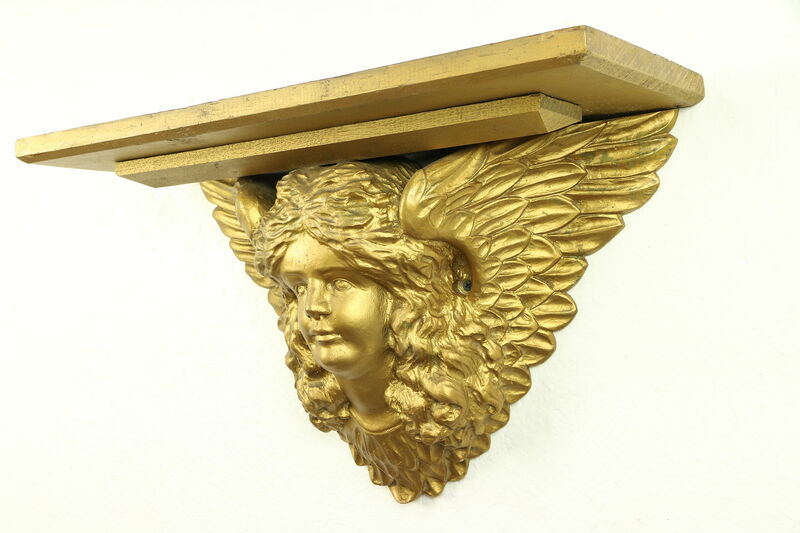 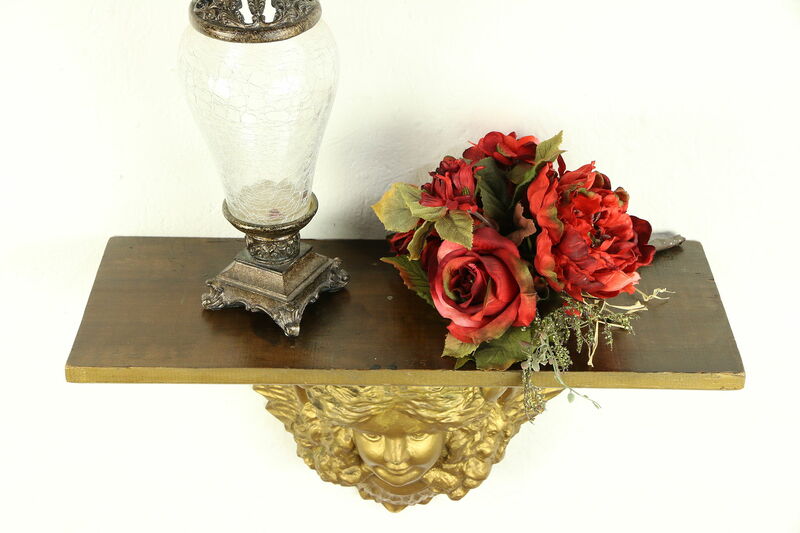 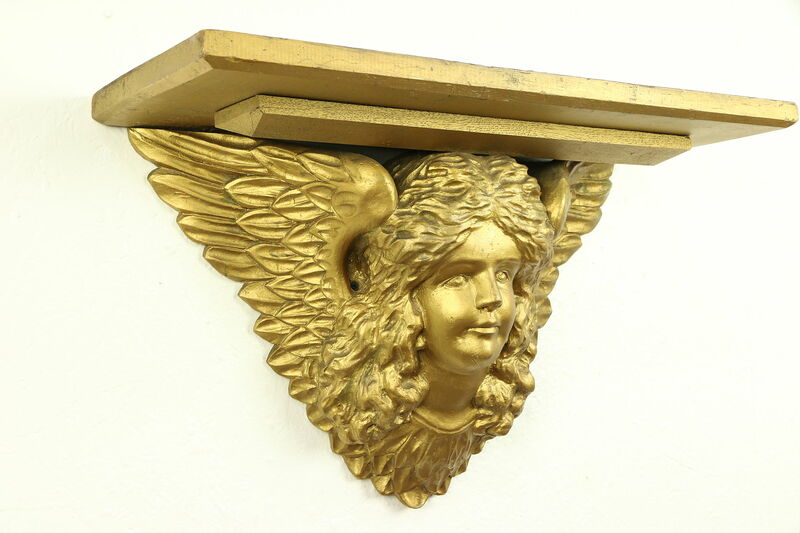 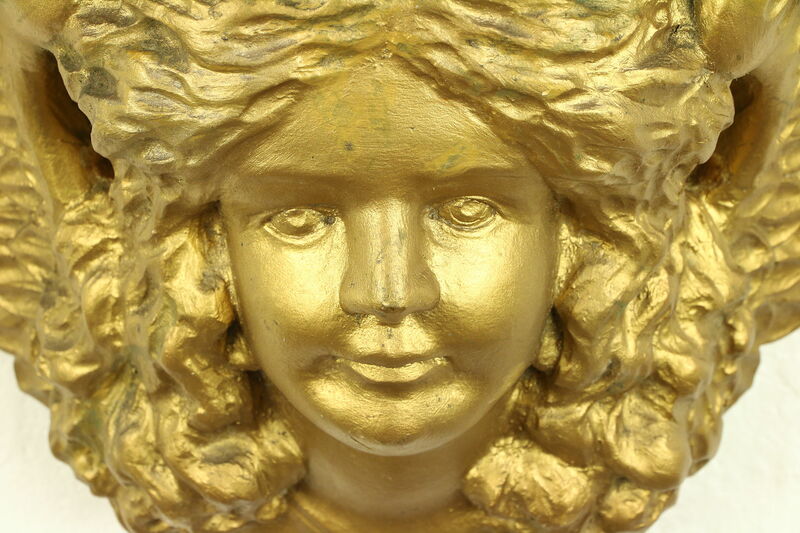 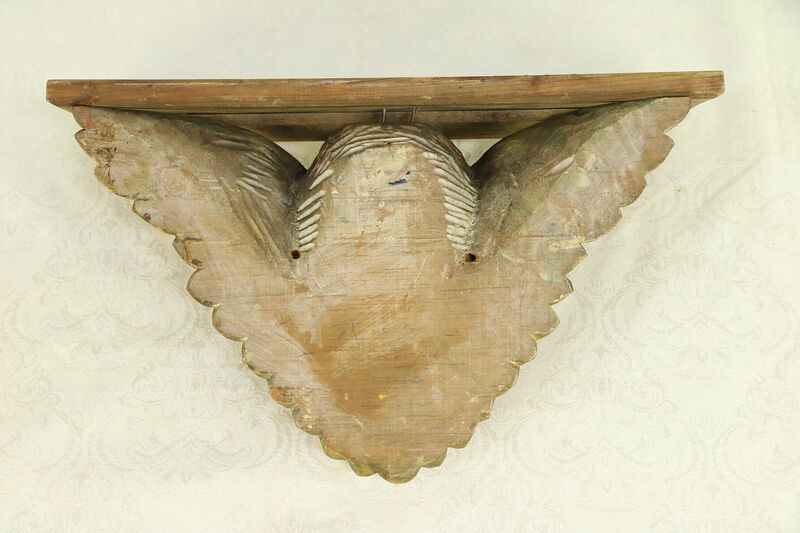 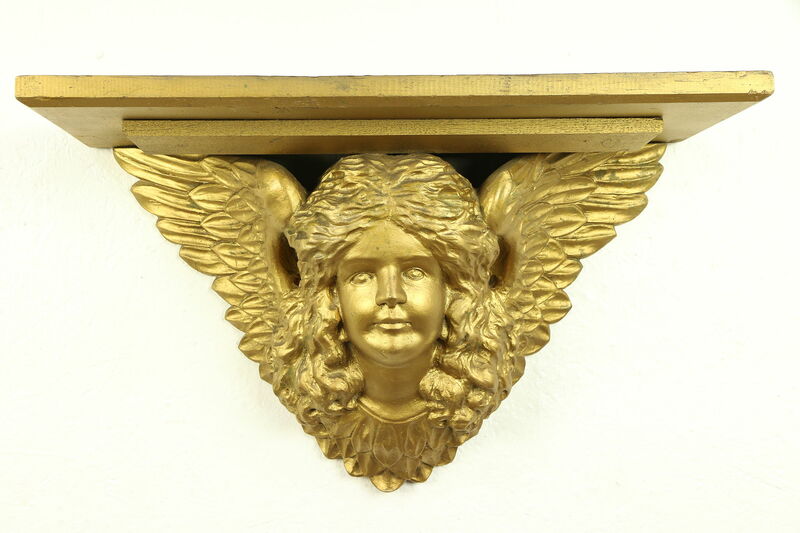 A hand carved angel sculpture supports a wall shelf on this Victorian period antique from about 1880. 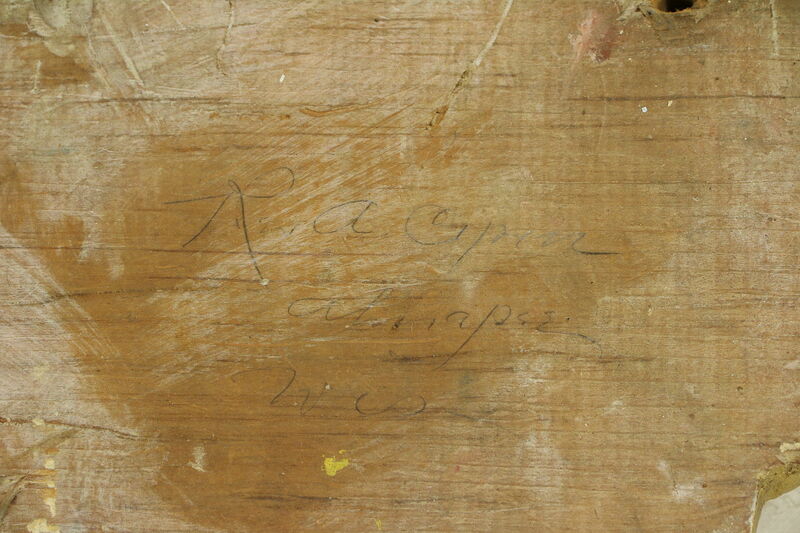 The signature on the back is difficult to decipher, and includes a Wisconsin name and town. 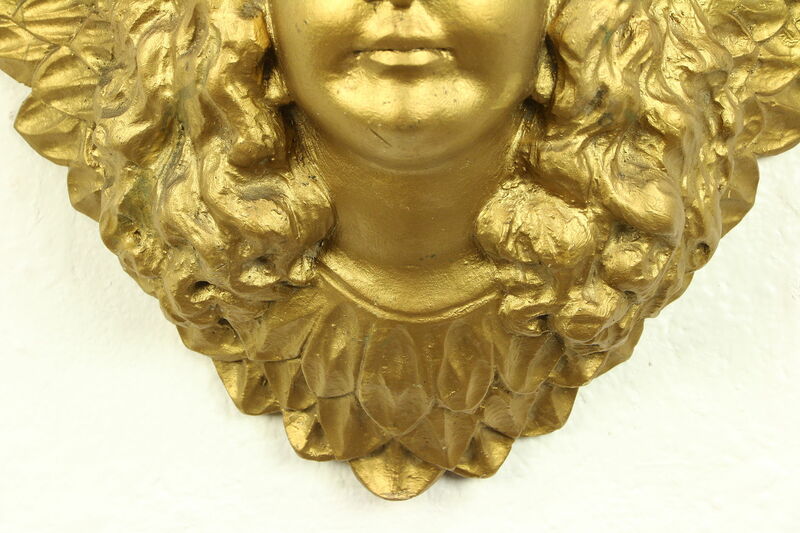 This work of art was chiseled by hand from a single block of solid pine. 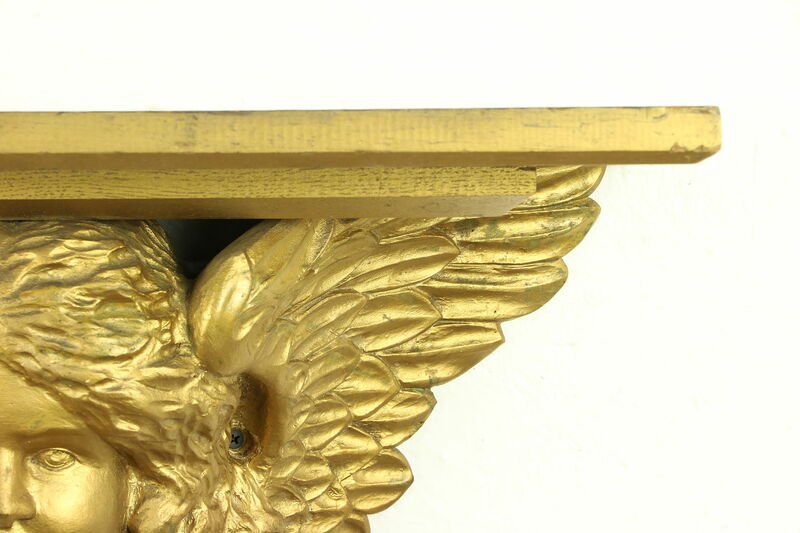 American made, there is a little wear to the old gold finish. 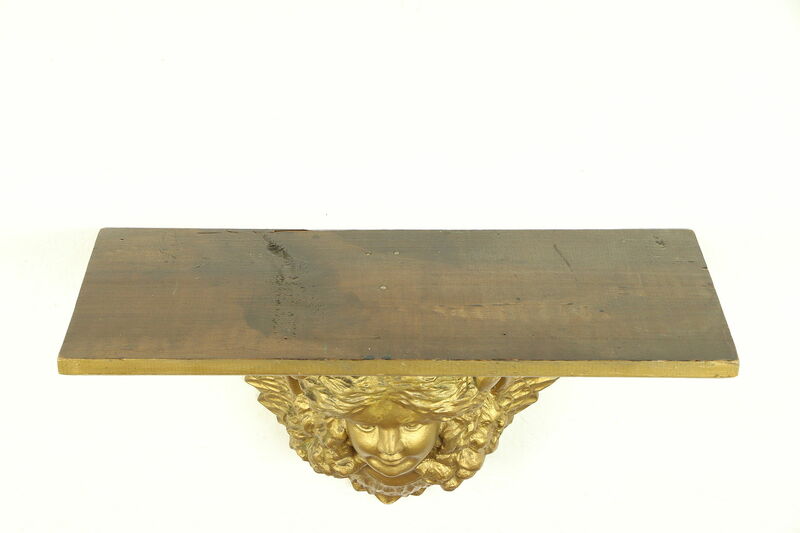 The shelf has original worn varnish on top. 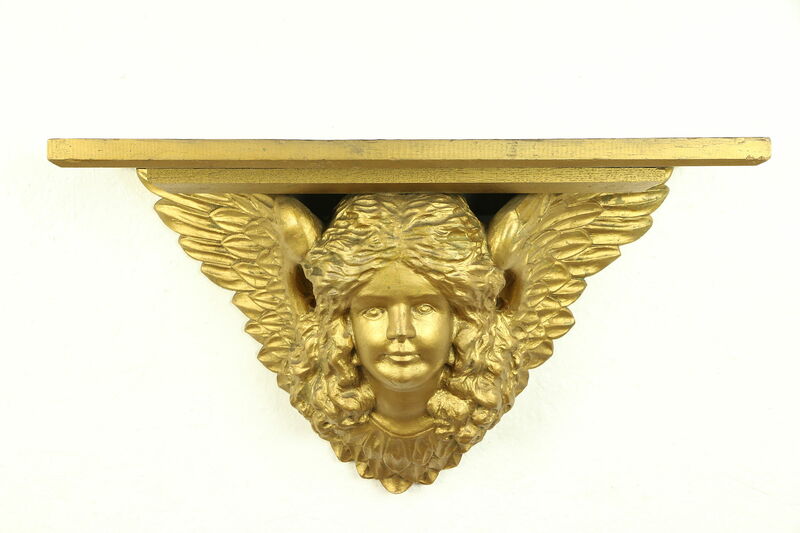 Size is 22" wide, 8" deep and 13" tall.